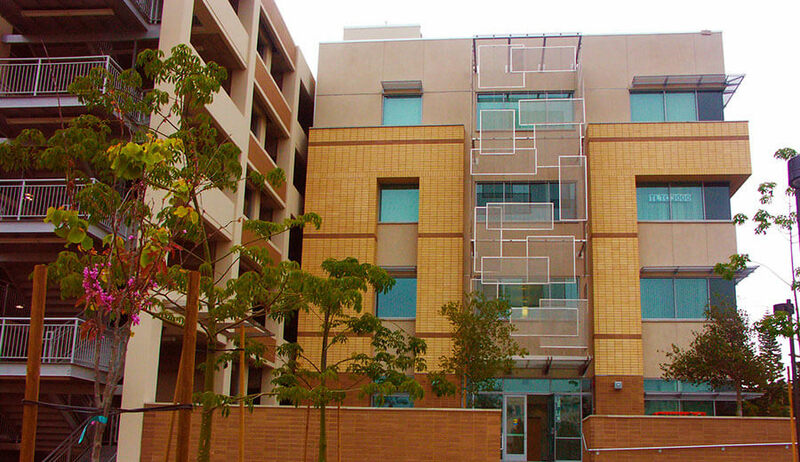 The Campus Anteater Instruction and Research Building and Parking Improvements project consisted of the design and construction of a new 60,000 sq. ft. Campus Building and adjacent 400 vehicle parking structure. Located directly off the University’s busiest roadways, the work involved extensive earthwork and grading, reconfiguration of existing roadways to improve vehicle circulation, and new pedestrian bridges for improved accessibility. 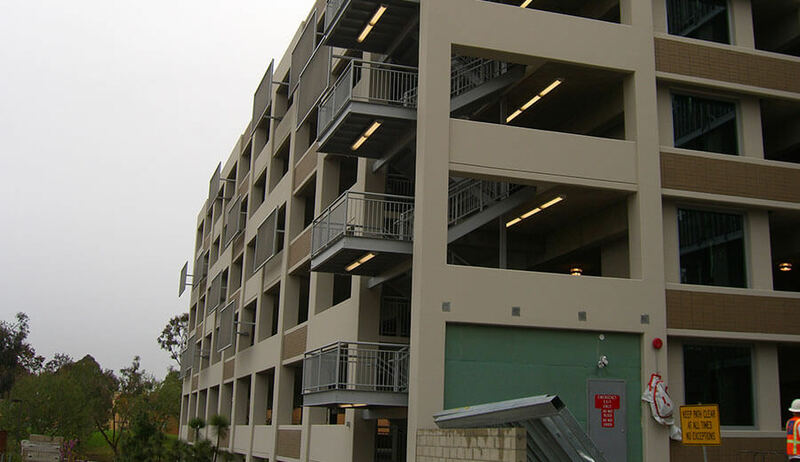 The building and parking structure are tied together into one large, four-story cast-in-place concrete structure. The building’s foundation is comprised of large spread footings intersected with grade beams. Features of the facility include automobile entry colonnades, storm water run-off clarifier, an architectural cast concrete retaining wall, stainless steel scrim panels, entry tollbooths and a new traffic signal. The building is a four-story classroom structure that serves the campus’s needs for temporary classroom staging or classroom overflow as other facilities are renovated or constructed elsewhere on campus. Due to the project’s proximity to the center of campus, many major work elements were required to be conducted at times that school was out of session or when students were not present. 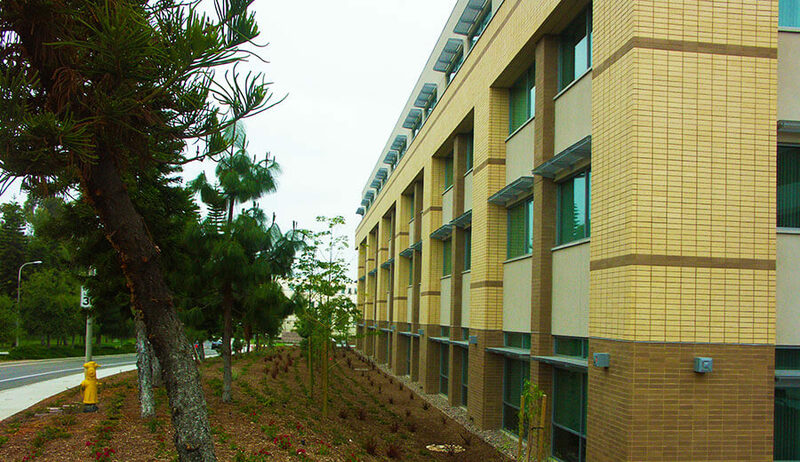 However, Soltek’s innovative scheduling with input from the owner’s representatives allowed us to work around these periods of heavy use and complete the parking structure portion of work faster, thereby enabling us to turn it over for use by the client sooner than anticipated while the remaining structure and subsequent interior improvements and finishes were completed. Of particular note, Soltek, UCI and the Design Consultants worked closely to design and construct the project to achieve a LEED Gold certification with the U.S. Green Building Council..